A bunch of characters you’re already familiar with will pop up in The Defenders. 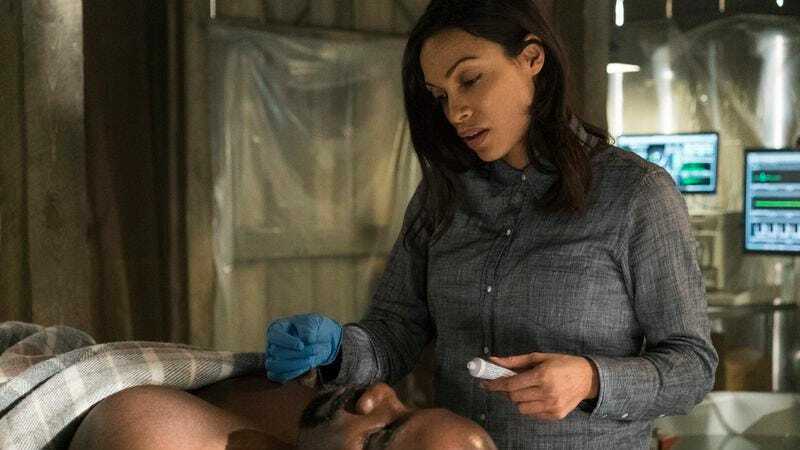 Netflix announced on Twitter today that the likes of Daredevil trainer Stick (Scott Glenn), Jessica Jones BFF Trish (Rachael Taylor), and everyone’s favorite nurse Claire Temple (Rosario Dawson) will all make appearances in the series. Frankly, it would be surprising if Claire didn’t since she’s a thread that runs through all the individual shows. Earlier this week, the streaming service also revealed that Foggy (Elden Henson), Karen Page (Deborah Ann Woll), Misty Knight (Simone Missick), Malcolm (Eka Darville), and Jeri Hogarth (Carrie Anne Moss) will also participate. So, yes, we assume at least seven of the eight episodes will just consist of the superheroes introducing their friends to one another. In the last, once everyone is well acquainted, they’ll defeat Sigourney Weaver’s villain and that will be that.